TSI advocates a holistic approach to resilience combining threat / hazard assessments, criticality assessments, vulnerability assessments, risk assessments, physical security, technical surveillance, critical infrastructure protection, cybersecurity, business continuity planning, emergency management, and enterprise risk management programs providing integrated solutions to resilience. Unfortunately, TSI has found that the programs listed above are often conducted in stovepipes; risk assessments and physical security are not integrated with business continuity, or cybersecurity and technical surveillance are not integrated into emergency management. TSI advocates adherence to the standards of ANSI/ASIS ORM.1-2017, Security and Resilience in Organizations. 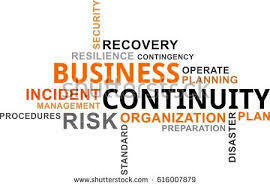 This standard emphasizes proactive risk and business management to support a process of prevention, protection, preparedness, readiness, mitigation, response, continuity, and recovery from undesirable and disruptive events. It advocates a single integrated management system to eliminate “siloing” of risk, enabling an organization to more efficiently anticipate and plan for naturally, accidentally, or intentionally caused events, using a single management system standard. TSI follows the best practices of ISO 31000 by utilizing pro-active risk management, as opposed to reacting to an event after the fact. The key to effectively managing risk is allowing leadership to set strategy, achieve objectives, and make informed decisions regarding resource allocation. Risk management should be applied at all levels of the organization, strategic, organizational, and program/project level. TSI promotes a ‘bottom up” approach to risk identification and a “top down” approach to risk management. This approach ensures that risks are identified at the lowest level of the organization and allows executive visibility on risk allowing leaders to make informed decision regarding resource allocation. The integration of risk management with the other elements of resilience such as business continuity, cybersecurity, and critical infrastructure provides the organization with a holistic solution. • SCADA requires a proactive, comprehensive model for establishing a framework for securing SCADA systems that is different from standard IT security.